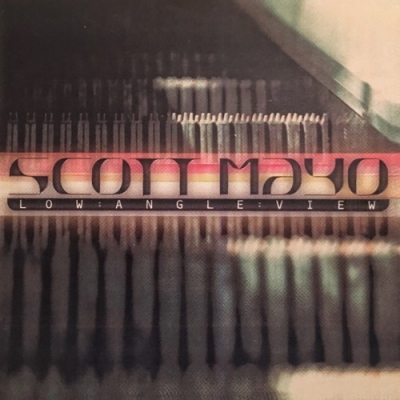 Scott Mayo brings 360 degrees of music industry expertise to his work. With more than 30 years of experience, his skill set ranges from composition, musical direction and contracting to Grammy-nominated writing and performances. 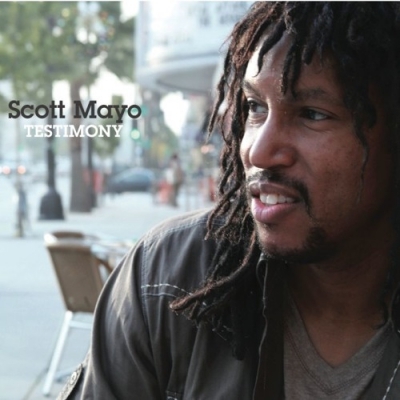 In fall 2017, Mayo served as the musical director for the Emmy Awards Governors Ball performances where he led the Scott Mayo Collective through three nights of music before a Who’s Who of the television industry. No stranger to television, Mayo has been a staff composer for the HBO hit The Larry Sanders Show starring Garry Shandling and the CBS show High Society starring veteran actress Jean Smart. Mayo also served as an arranger and multi-instrumentalist in the Dancing with the Stars house band, writing for and playing saxophones, flutes and clarinets. He also performed on The Voice, Primetime Emmy Awards, The Tonight Show, American Idol and The Singing Bee. Mayo sung on the soundtrack for the film Rogue One: A Star Wars Story. He also played on the soundtracks for The Good Dinosaur, Epic and Happy Feet Two. Other projects include recordings for children’s television shows, Wallykazam!, P. King Duckling and the PBS children’s show Odd Squad. Mayo is currently the musical director and writing partner for Brazilian legend, Sergio Mendes. Mayo is also an integral part of Mendes’ most recent, Grammy-nominated album, MAGIC, co-writing “Don’t Say Goodbye,” with Mendes and John Legend, “Visions of You” with Mendes and Janelle Monae and the title track, “Magic” with Mendes. Mayo also arranged the music for the Hollywood Bowl Orchestra for Mendes’ 2016 summer concerts commemorating the 50th year of Brasil 66. Additionally, Mayo was the music contractor for Mendes’ Latin Grammy winning album Bom Tempo. Mayo received a Best R&B Album Grammy nomination for producing the Oleta Adams album, Moving On. Mayo also received a Grammy nomination as the featured performer on Gerald Wilson’s “Romance: Theme from Monterey.” In 2012, Mayo produced Drawn to You, the 12th album from jazz vocalist, Kevyn Lettau. The album also includes Mayo’s talents as a singer, musician and arranger. Mayo was featured playing saxophone and flute during the 2014 BET Awards tribute to Lionel Richie. In 2013, Mayo performed in the house band for the 65th Primetime Emmy Awards® and for the MusiCares Person of the Year Tribute to Bruce Springsteen. At the 2011 Grammy Awards®, Mayo shared the stage with Mick Jagger and Raphael Saadiq during a tribute to the late “King of Rock n’ Soul,” Solomon Burke. During the 2011 BET Awards, Mayo was the featured soloist honoring the late Clarence Clemons of Bruce Springsteen and the E Street Band. Mayo was also featured playing with Queen Latifah as part of 2011 BET Awards tribute to seventies jazz poet, Gil Scott-Heron. Among R&B audiences, Mayo is perhaps best known for his work with, Earth Wind & Fire. Mayo toured with the group for more than six years playing saxophone and flute. He is particularly lauded for his stirring on-stage saxophone solo during the beloved hit, “Reasons” featured on the Earth, Wind & Fire: Plugged In & Live album. In addition to the previously mentioned artists, Mayo has worked with many of music’s most acclaimed performers including: Bruno Mars, Dr. Dre, Damian Marley, Pitbull, Neil Young, Ne-Yo, Juanes, Los Angeles Philharmonic Orchestra, Dori Caymmi, Carrie Underwood, Jennifer Hudson, Sting, Ivan Lins, Blake Shelton, Beyonce, Carlinhos Brown, Mariah Carey, Ceelo, Andy Grammer, Herb Alpert, Usher, Stevie Wonder, Faith Hill, Seu Jorge, Tim McGraw, Chaka Khan, Michael Bolton, Shakira, Luther Vandross and Bonnie Raitt and a host of others.